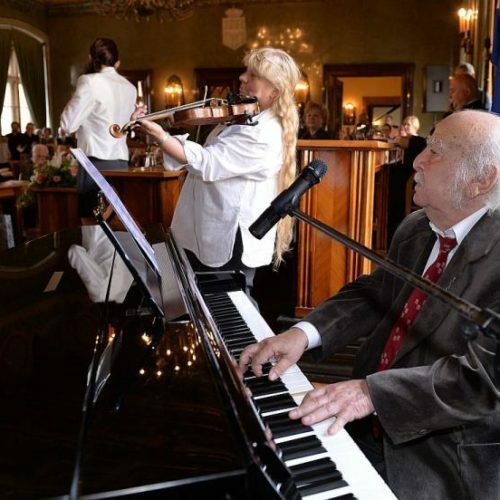 JTA reports the passing of Leopold Kleinman-Kozłowski, pianist and composer known as ‘the last klezmer of Galicia’. He died in Krakow on Tuesday at the age of 100. As music director at the Jewish Theater in Warsaw he was a consultant Spielberg’s film ‘Schindler’s List’ and won himself a cameo role.